Here are a few of the new varieties we're introducing for this Autumn. 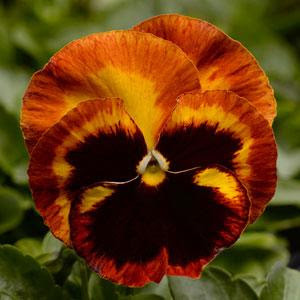 If you haven’t tried them already, it’s the fastest-growing, longest-lasting, truly trailing pansy for Autumn through to Spring! Cool Wave is extremely free flowering and is noted for its good weather tolerance. New colours added this year Lemon Surprise and Berries n Cream. 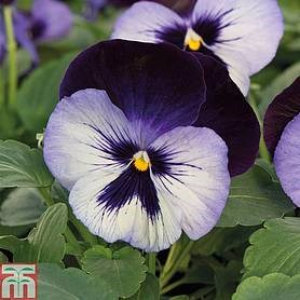 For those who like it bright in winter, Matrix are your classic large flowered Pansy and the colours will add bright and strong colour to your winter garden and each with that classic, happy pansy face. Very tolerant of winter weather, they will go on flowering right until it gets too hot in summer. 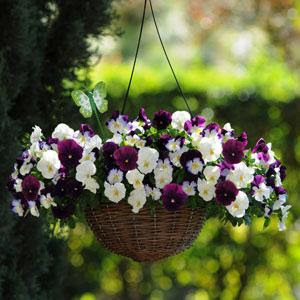 A great pansy for pots, tubs and borders. We have added new colour Solar Flare and a lovely new mix, Northern Lights this year. 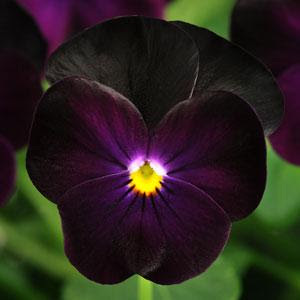 In the Novelty pansy ranges we have expanded the F1 Mystique™ range to include Moonlight, the newest colour in the range offers large, beautifully marked blooms on well-branched, compact plants. 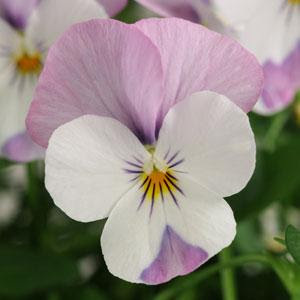 Flowering a little later than Matrix™ pansies, this stunning variety is a real must-have for your spring planting schemes. We have also added Whiskers Orange to our novelties. This one is definitely the “cat’s meow!” Each mid-size bloom features a unique “cat face” pattern. The average flower size is 5-6cm, perfect for a pot display or splash of colour in the garden. Plant en- masse for full impact. We have also added some new colours in the Frizzle Sizzle ruffled petal range this year including a lovely mix. 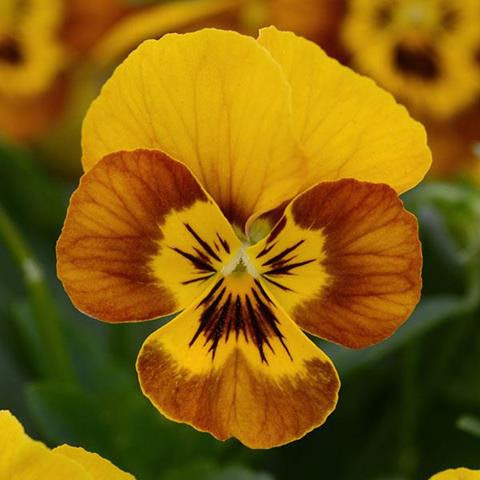 Moving onto violas, Viola 'Teardrops™' is a top performing hanging basket variety, producing cascading trails of colourful blooms to brighten up the winter garden. Flowers just keep on coming and will continue to perform well into May. we have a wide choice of colour in the trailing Teardrops variety – ten colours to choose from. 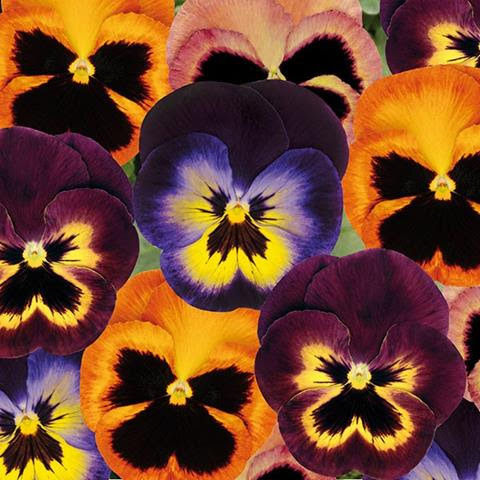 Viola Sorbet™ XP are a unique miniature hybrid that combines the charm of violas with the explosive colours of pansies. 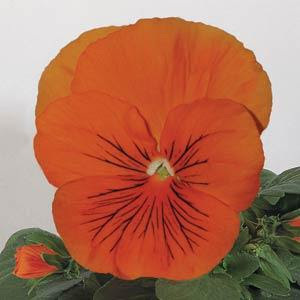 These early bloomers have been bred to have more blooms on each plant and to remain compact., the free-flowering plants perform across a wide range of conditions and will keep flowering abundantly throughout the season. 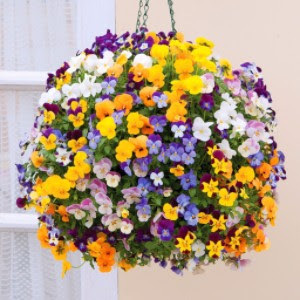 Ideal for garden beds, pot and patio containers and baskets and are an exciting addition to an otherwise bleak winter landscape. Added colours this year Honeybee, Blackberry and Pink Wing. 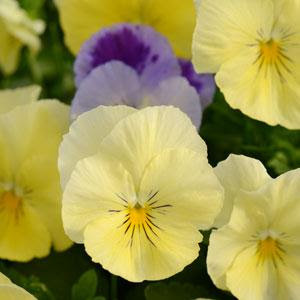 Along with this fabulous selection we have our range of ‘Pansy Pals’ to compliment your plantings, Ajuga, Lamium, Cineraria, Cyclamen, Ivies to name just a few. We have restocked our herb benches and also have beautiful varieties of sage and thyme to add foliage colour to your planters. As always the normal range of Autumn/Spring flowering favourites are available with a selection of perennials. We are also using a couple of beautiful Heucherella (trailing Heuchera) varieties in hanging baskets this year as a change from the norm.